When Hamilton Bailey and McNeil Love published the first edition of their venerated textbook in 1932 the surgical world was a very different place to that of today. There were no antibiotics, no joint replacement, no open- heart surgery, no transplantation and many other procedures that we now take for granted had simply not been invented. Medicine and surgery never stand still. Surgeons continually strive to innovate so that they can tackle conditions and diseases previously thought to be beyond reach. They do this against a background of new discoveries in both the physical and biological sciences. Such breakthroughs make some surgical procedures redundant, but others stimulate new approaches. This is seen in all specialties and consequently it is important for textbooks not only to keep pace with new developments but also to ensure that a balanced view is taken of their place in the therapeutic armamentarium. In developing the 27th edition of this much-loved textbook, we have striven to keep this in the forefront of our minds and those of our contributors. Nevertheless, in addition to considering the place of innovation, it is important not to ‘throw the baby out with the bathwater’. We have therefore ensured that the basic tenets of surgical practice that have stood the test of time remain where appropriate. It goes without saying that anatomical knowledge is the bedrock of clinical surgery and indeed all of medicine. Not only do surgeons need to be fully cognisant of their own specialty requirements but they need to have more far reaching knowledge in order to make thorough clinical examinations, to interpret all modalities of imaging and to deal with trauma and malignancy which by their very nature know no anatomical barriers. 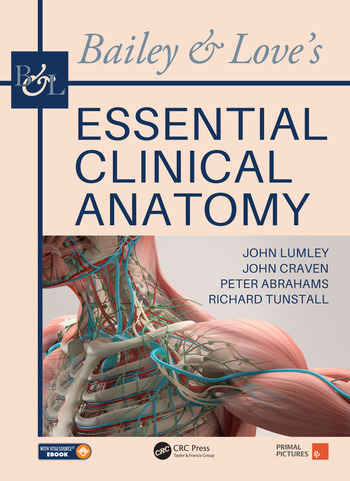 It is therefore a delight to welcome Essential Clinical Anatomy as the first publication into the fold of what we envisage will constitute a Bailey and Love compendium of associated titles. As editors of Bailey and Love’s Short Practice of Surgery we see this anatomy book as very much a companion to the main tome. Although there are snippets of relevant anatomical knowledge in the parent volume we readily accept that it lacks the detail that is required for a complete understanding of various disease processes and the concomitant therapeutic procedures required to treat them. Essential Clinical Anatomy fulfils this need and all undergraduate and postgraduates who are unsure of the relevant anatomy when reading Short Practice will not put a foot wrong if they keep the former close when perusing the pages of the latter. Essential Clinical Anatomy covers the modern curricula required by most regulatory medical bodies worldwide and hence provides all that is required for relevant examinations. 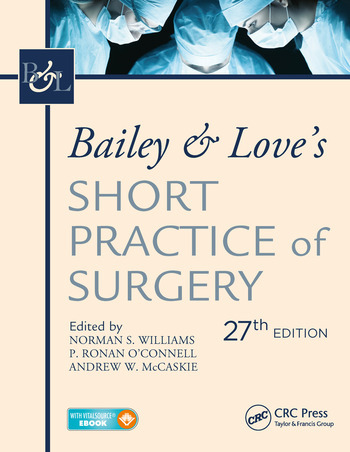 A constant feature of Bailey and Love’s Short Practice of Surgery throughout all its editions has been an emphasis on high quality illustrations and clinical photographs and we are delighted to see this tradition is very much at the fore in this companion volume. The authors, John SP Lumley, John L Craven, Peter H Abrahams, and Richard G Tunstall are to be congratulated on assembling the information in a most readable and visual format. We are confident that Essential Clinical Anatomy will provide the foundation for all those pursuing a surgical career, we also believe it will be of tremendous benefit for all undergraduate and postgraduate students no matter which branch of medicine they wish to follow and we warmly commend it to you.